Penicillium notatum is a source of antibiotics, especially penicillin. It occurs naturally on salted food products and water-damaged wood. 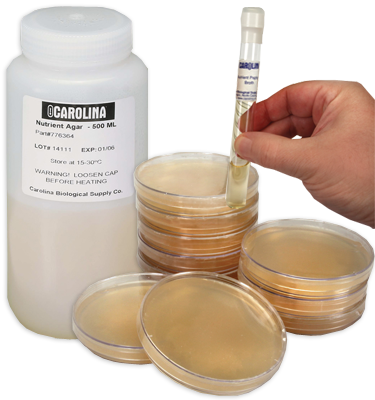 Optimal growth medium is potato dextrose agar; optimal growth temperature is 25° C. MicroKwik Culture® is a Carolina trademark for freeze-dried, viable fungi with medium. Each culture comes with instructions for rehydration of the culture. Since MicroKwik Cultures can be stored under refrigeration, they can be ordered ahead of time for use on short notice. Note: Each MicroKwik Culture® comes with 5 mL of rehydration medium.